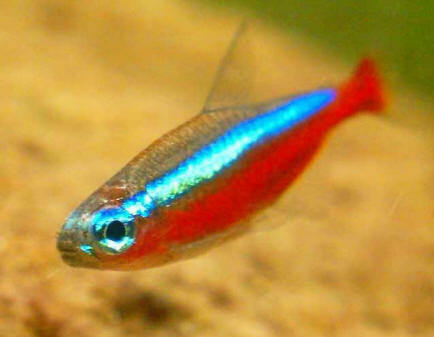 The cardinal tetra needs peatfiltered, acidic water to bring out the best in its coloration. For breeding, water hardness must be practically zero; pH can be as low as 6. The development of the eggs (300-500 approximately) must take place in darkness. Size: 4-5 cm.